Microsoft Azure does not have direct API for sending text messages. AWS does provide direct API for SMS, integrated with many other services. "Twilio uses Amazon Web Services to host telephony infrastructure and provide connectivity between HTTP and the public switched telephone network (PSTN) through its APIs." Azure Notification Hubs does not itself provide SMS text messaging to mobile devices. "To send SMS text messages from Azure, for example, you can use services like Twilio which is available in the Azure Marketplace. You can use Twilio Connector as an API App (for example that you can invoke from Logic Apps) or your can use the Twilio API directly. " "yEd is a powerful desktop application that can be used to quickly and effectively generate high-quality diagrams. Create diagrams manually, or import your external data for analysis. Our automatic layout algorithms arrange even large data sets with just the press of a button. yEd is freely available and runs on all major platforms: Windows, Unix/Linux, and Mac OS X." AWS has availability zones, and now Azure has them also. So far there ware Azure "Availability Sets" essentially separate racks in same data center. Availability Zones are separate data centers that are nearby to each other. "To learn more about Availability Zones and sign up for the Preview, visit: http://aka.ms/az." Design highly available applications on Microsoft Azure with Availability Zones. "By applying universal rules of software architecture, you can dramatically improve developer productivity throughout the life of any software system. 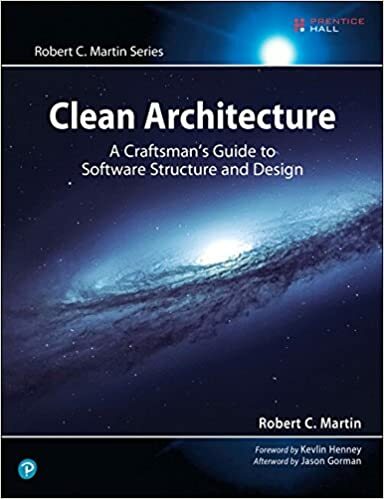 Now, building upon the success of his best-selling books Clean Code and The Clean Coder, legendary software craftsman Robert C. Martin (“Uncle Bob”) reveals those rules and helps you apply them."